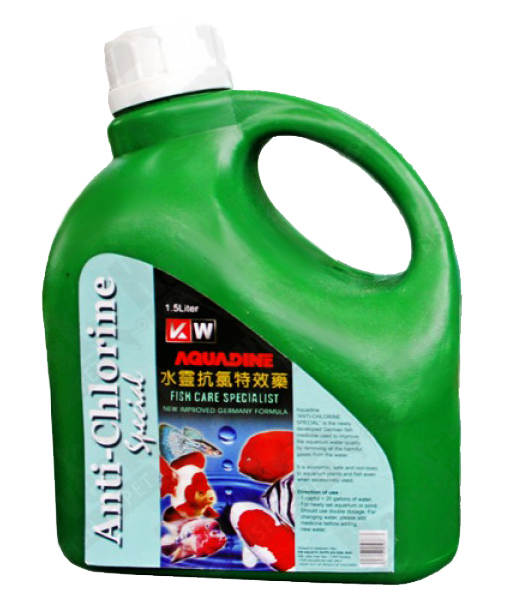 Aquadine ANTI CHLORINE is the newly developed fish medicine used to improve the aquarium water quality by removing all the harmful gases from the water. It is economic, safe and non-toxic to aquarium plants and fish even when excessively used. Dosage: 1 capful medicine to about 8 gallons of water.